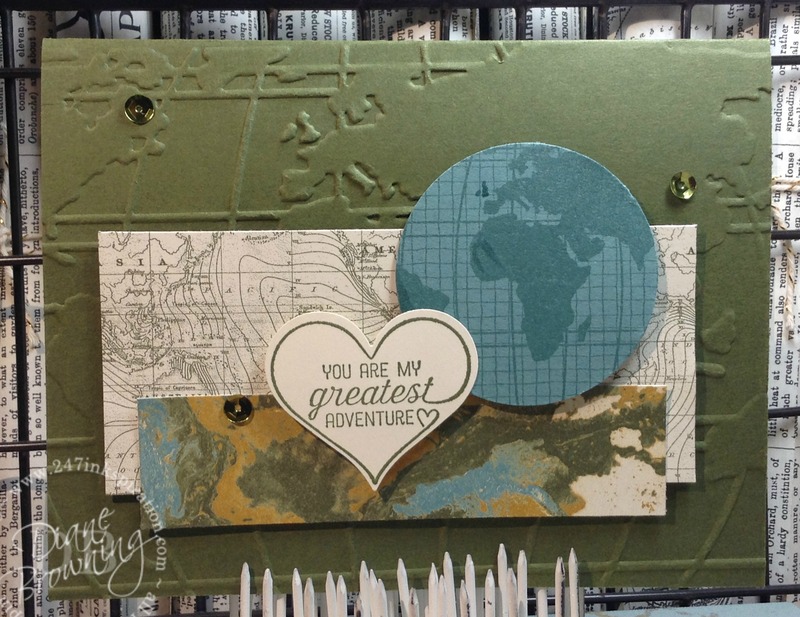 I won’t be packing up my stamps to hit the road (read about that here). But that’s a good thing because then I don’t have to pick and choose what to take with me. I’m kind of bummed that I won’t be the jetsetter that I was hoping to be though. I’ll be at the back of the plane in coach with all the other people that didn’t win the lottery. 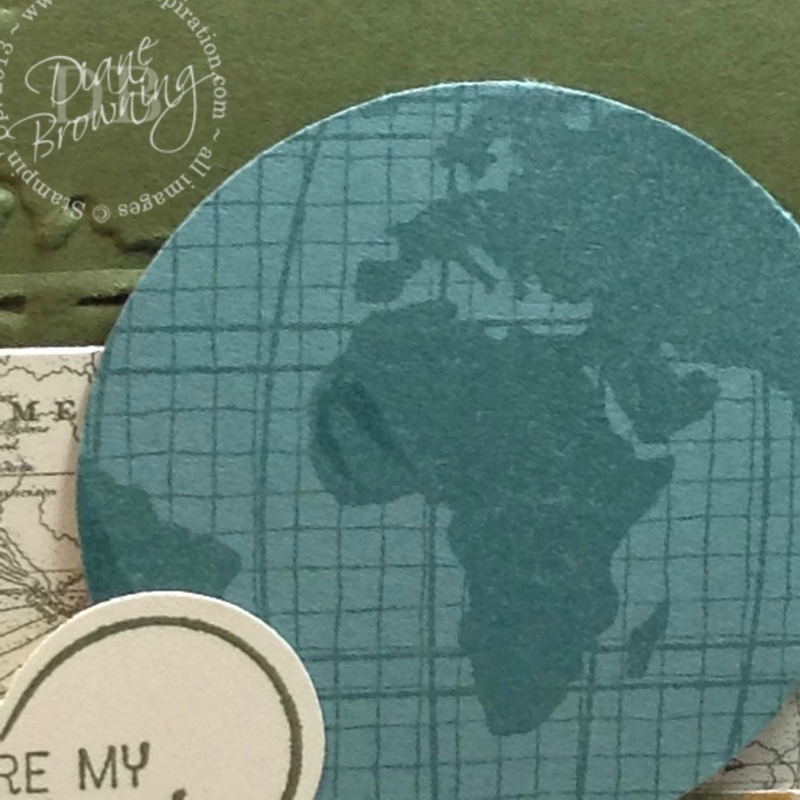 In honor of the travel bug that I have, I’m sharing one of the new sets from the Occasions catalog, Going Global, which also has a coordinating embossing folder too. 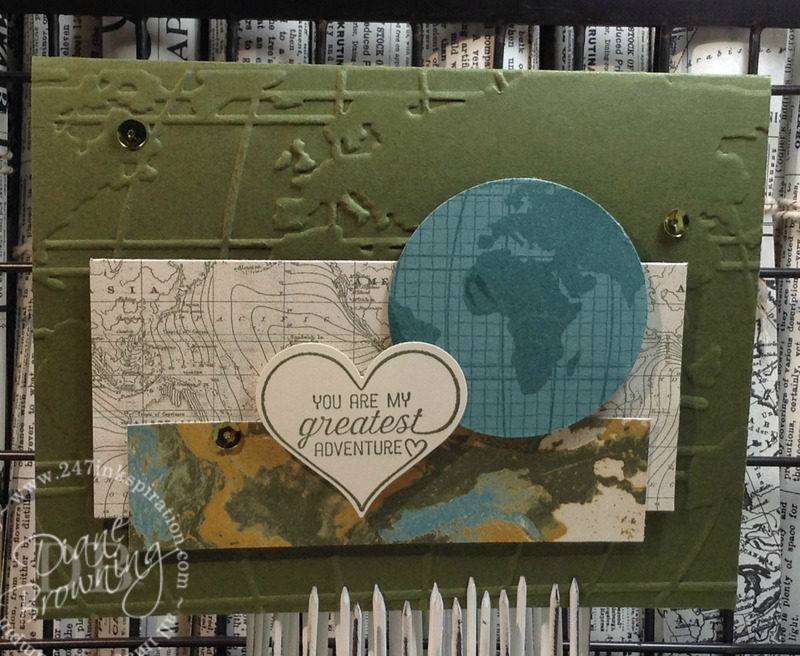 Did you know that you can use embossing folders for stamping too? 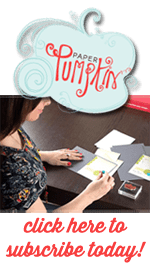 Just add ink to one side of the embossing folder then insert your cardstock as normal, close folder and the ink will transfer over to the cardstock. 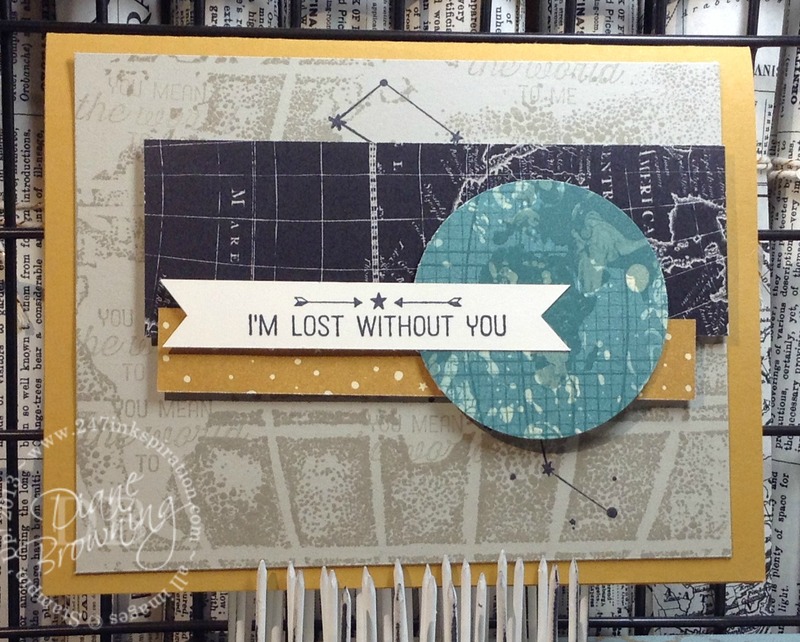 Here’s one of the Make and Takes from the OnStage Stampin Up event last Fall (this event is for Demonstrators only). This only took a few minutes to make. You could easily make several of these to have on hand and just add an appropriate sentiment when you’re ready to use them. At the event we made just the front of the card and I added it to a full card so I can use what I made. Here’s a similar card that I designed myself but this time I used the embossing folder as you normally would. One thing that I do need to point out about this stamp set…don’t look too closely at the globe image where the United Kingdom is supposed to be. You looked, didn’t you? Somehow the map is missing the United Kingdom. No one can explain how the goof happened, it just did. Stampin Up feels really bad about it too, but the molds are already made. Oops! Kind of a bummer because those are some of my favorite countries! Instead, just think of this as a stylistic representation of a map – not as reproduction of the earth itself. If this really bugs you, you can always fill it yourself. Just be sure to use the same color marker as the ink pad and it should blend in ok.
Don’t forget to check back next week. I’ll be sharing Valentine’s cards and treats all week. I’ve got some quick and easy ideas for you to recreate and some that have that *wow* factor. Share the love, people!